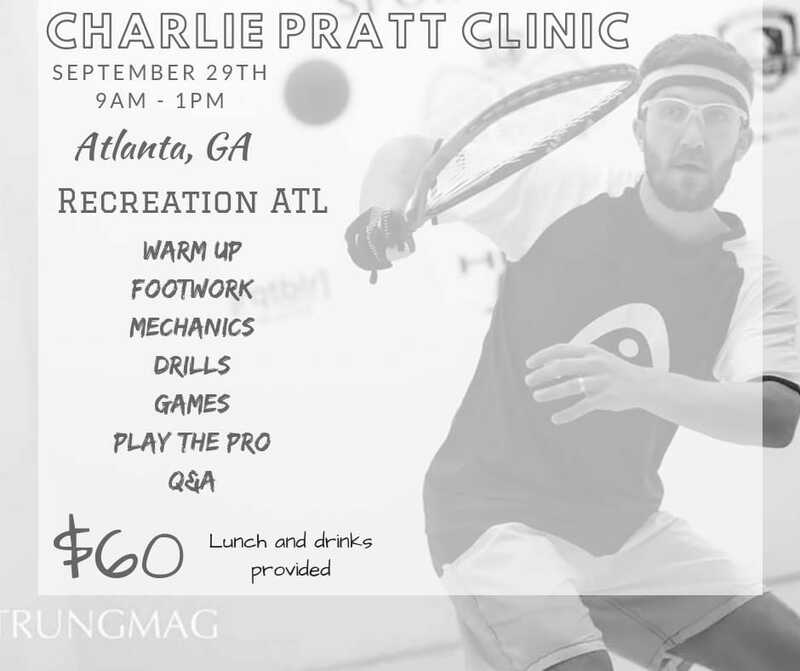 Recreation ATL will be hosting a clinic by Charlie Pratt Racquetball on September 29th. Charlie Pratt is the current US Junior Team Head Coach, made it to the finals in singles at the World Championships this year, and one of only a handful of active players with a tier 1 IRT title to his name! He is an advocate of the sport, strategic minded, professional, and a good guy to be around. If you’re in the area and would like to participate in this clinic, please contact Jason Chan at Recreation ATL. I am a racquetball enthusiast.